While oil industry executives are preparing to live and profit in the world of $50 oil over the next few years, some enthusiast investors have been betting on $100 oil for December 2018 options. Open interest in $100 call options for December 2018 has tripled in one week to exceed 30,000 lots, according to Reuters. Open interest in that contract is now equal to the most active contract of the December 2017 options—$60 call options. The $100 December 2018 options is the largest strike for all of 2018. Although bullish reports over the past few weeks point to stronger-than-expected oil demand growth, and although global oversupply has reduced over the summer, the bets for $100 oil at the end of next year are still way above estimates and forecasts. But that hasn’t stopped some traders from shooting the moon. 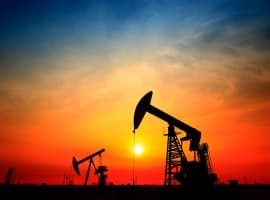 After oil prices entered bull-market territory at the beginning of this week, analysts started weighing in again on the future price of oil: How much could it rise? Could the increase be sustained? Over the past week alone, we’ve seen one analyst predict prices of $80 per barrel. A panel of several other analysts forecast a price drop if OPEC were to end its production cut deal as planned in March 2018. Citi added its two cents: whatever OPEC does, supply will likely get tighter next year, suggesting that prices would head upward. 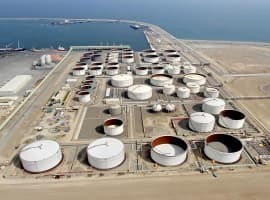 Three years of low oil prices have constrained investments in conventional projects, and the IEA has just recently reiterated its warning that an oil price spike is in the cards in 2020, citing growing demand for oil that could outstrip the pace of new conventional supply. “The lack of spending always comes home to roost,” Richard Robinson, who manages the global energy fund of Ashburton Investments, told Reuters. “With inventories soon to balance, the psyche of the market should move and the questions posed by investors will also change. With the dynamics currently in place, we expect to witness significant opportunities as the oil price moves higher,” said Robinson, who doesn’t see oil reaching $100. The end of 2018 is when the automotive industry will be coming to grips with a reduced sale of ICE vehicles as electrics really start to become available to the broader public. Any spike in prices to $100 (or even just $80) will only accelerate the stampede away from oil. In 2018?? I mean, I assume those positions didn't cost very much, but it sounds like a total waste of money. I could see writing some $60 WTI / $65 Brent calls, that's possible, I doubt it, but not out of the question. Seems like every time WTI tickles the $50's people get all excited again, but it hasn't held that level very long since the false dawn in 2015. Will this time be different? Will all the analysts and banks who predicted average prices in the $50+ range for 2018 just a few weeks ago be wrong? Or are Rosneft and Jim Cramer correct, and the price is about to fall off a cliff? Whew, I'm a lower for longer guy, and that sounds silly even to me. Maybe it is time to get bullish. Snoopy, what are your predictions based on? I don't doubt the momentum that EVs are building, but do you really think it will be enough to convince consumers to the point of having an effect on ICE sales as early as 2018? @snoopyloopy: you forget EVs will soon get to grips with the TWh amounts of electricity they need to get going. The Paris Agreement is a lot about reducing coal emissions worldwide. The truth environmentalists refuse to admit is that the mass consumption of electricity due to EVs is rapidly becoming more dangerous to the environment than current refined oil emissions produced by ICEs. Trump, and his fellow Republicans, had better hope not. The election isn't until November, and gasoline prices go up instantly, as oil goes up. Paid by oil cartel? Fooling people! Oil price to crash to $40 by the end of 2018. 5% less demand due to electric cars will send oil prices tumbling down with Iraq, Syria etc. pumping oil in huge quantity to meet the reconstruction cost; whatever the price. @Crosby: My prediction is based on the fact that a LOT of electric models are coming to market next year that offer electric range at a fairly decent price (at least most of them do). Hyundai has announced that the 200+ mile version of the Ioniq EV and Kona EV will arrive while Kia has promised something similar for the Niro. The Jaguar I-Pace arrives, as does the Audi e-tron. The longer-range Leaf arrives. And of course, the Model 3 will start getting delivered in production quantities. All of that will drive public interest in EVs in a way that until now, just hasn't really existed because they've been seen either as weirdmobiles or toys for the rich. On top of that, a lot of owners of the "weirdmobile"-category EVs will likely upgrade to something mentioned above, putting more EVs on the used market where they sell quickly. Additionally, VW will be installing charging infrastructure as part of their settlement, which will make other vehicles like their e-Golf, the existing Ioniq EV, and even the Honda Clarity EV much more usable. That's just the consumer side. On the fleet side, we haven't seen when Tesla has said they'll start actually selling their Semi, but I'd imagine that it'll probably be within 15 months. A lot of fleet operators may very well defer an order to give it a chance. The transit side will absolutely stampede to BYD and Proterra. Workhorse states that their W15 truck should be out to customers and a spike in fuel prices will also send fleet managers their way. @Brandon: I've forgotten nothing. Electricity options continue to grow even as coal becomes a smaller and smaller portion of that pie. Sorry Snoopy but the reality of EVs that you paint is far overblown. In 2016 world-wide 0.5 million EVs were sold. In 2015 there were 0.35 million showing a great growing market (42% year over year). On the other hand in 2016 the ICE fleet produced 87.6 million vehicles which was an increase of 4.0 million vehicles over 2015. This also means there was a year-of-year increase in the worldwide fleet of ICE vehicles of about 30 million. Currently there are 1.2 billion vehicles on the road but this is to grow to 2.0 billion by 2035. 0.1% of those vehicles (1.2 million) are EVs. So even at the 42% growth pattern (which won't last forever) if would be till mid 2023 till EVs would cause a year-over-year decline in the number of ICE vehicles sold (more than 4 million EVs sold annually offsetting the increase in ICE production). As well at that same rate it would take till 2030 before the actual number of ICE vehicles in the world started declining (more than 40 million EV sold annually). Even if the consumer market is there for that type of steady 42% increase (which itself is a huge question) the likelihood that production of lithium and rare earths can scale that quickly (80X as much in the next 13 years....) is extremely unlikely. Just food for thought on that 42% annual growth. If you could invest $10,000 at 42% in 33 years you would be a billionaire. In 61 years your investment value would exceed the US GDP. I think EV's will follow the same path as the solar industry-- overhyped, overturned, and uneconmical. The only reason they're selling now is the huge subsidies... when they pull back we'll see a consolidation in the industry and a market cap of 10% EV. @Justin: You're focusing on electric CARS, not vehicles. China alone put over 100k electric buses on their streets last year, so add that to the half a million electric cars. The industry is on track to have over a million vehicles delivered this year, including a lot of buses again. Cummins has announced an electric truck, as has Mercedes and Tesla. The Norwegians are even going for an electric ship and the Swedes are looking to put a fleet of self-driving electric cargo pods on their roads by 2021. How does any of that help oil demand? Brandon, new energy production from alternative sources comes on-line daily. Finding the watts is a non-issue. You need to have some forward thinking. I always get amused at folks who think oil demand is going to drop and the only argument they have is EV's. Are plastic products going to be produced without oil? How about air travel, I really don't think we'll see electric aircraft for mass travel any time soon. How about the transportation industry, any idea on how all of those things in the store get delivered? Or the mining industry, any electric backhoes or dumptrucks on the horizon? How about farming, any electric combines and tractors coming any time soon?